"I had started to unlock my front door when I heard a pulsating, whirring sound I had never heard before or since," the witness stated. "I turned to look in the direction of the sound and saw four bright flood-type lights about two to three feet in diameter pointing straight down. The night was crystal clear but I couldn't see anything but the lights." "The craft was moving at about 10 mph from west to east over a mobile home park on East 9th St (still there) about 250 feet away. At first I thought someone had invented a new flying power plant that was making such an odd sound." "As it moved east a tree blocked my view so I moved to regain my line of sight and observed it cross Central Avenue about 75 feet north of East 9th Street over an unpopulated area (at the time), the whirring sound then increased in frequency to a level above my hearing range in about two seconds." "The lights then began to ascend north-northeast, accelerating from about 10 mph to more than supersonic speed in one second, without any sonic boom, and blended into the stars, and then disappearing completely as it moved away. I had been in the Civil Air Patrol for several years and had training in flight physics so I knew this was beyond any public knowledge of flight. 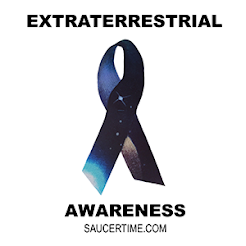 I believe I witnessed an extraterrestrial craft on a close up reconnaissance of human life." At the time of the witness' sighting, they were 18 years of age. This means still 49 years later they have not forgotten their encounter. I found a few similarities in this report that are similar to my own sighting. The sightings happened to occur in the month of October. The aircrafts were absent of helicopter blade or jet engine sounds and sonic boom. The UFOs flew away in a split second. Most importantly these sightings were 35 years apart yet the technological characteristic were almost the same. If there are man-made air crafts somewhere in the world that can do these amazing maneuvers in the air, their engineers sure have been keeping them hidden from the public for a long time. Personally I have found there is too much evidence to lean towards that possibly.